You may think of resort holidays as a way to still be able to wear leisure white, day and night. You could also see it as running the A/C to make the heat emanating from the holiday fireplace more bearable. What many may not have realized is the extended family a resort can provide to Resort Girls and Guys. Life brings changes…work demands, changes in marital status, children leaving the nest and even, sadly, death. Life can get demanding and may bring expected or unexpected changes —it is an inevitable part of the life cycle. When life changes, it’s only a matter of time before holiday traditions begin to change. So maybe it’s time to start a new tradition – celebrating the holidays club or resort style! During these changing times, extended families of non-family members consisting of close friends, new friends, neighbors and even “Club” members can develop. This week I heard about a generous golf pro who was helping with the move of a woman whose husband was dealing with cancer. He may have just been carrying the boxes, but he became a valued member of their extended family. This sense of family extends beyond a caring resort team member, it also can come from caring club members. When you find the right club or resort, you may find yourself forming lifelong relationships. This may just be what you need during a life transition, especially during the holiday season. Resorts and clubs can easily become part of a holiday tradition. All four seasons bring a reason for festive holiday events held at your club – from spring golfing and summer BBQs to fall festivals and, of course, winter holiday celebrations. As I talked about in last month’s article, a trip to your favorite motel or hotel each holiday season was a valued family tradition. That special place held an important space in your life and your family. You were greeted by smiling associates…you sat down to supper with other members or guests who decided to go to “the club” or hotel rather than celebrate at home. You even danced the night away and rang in the New Year with familiar, friendly faces. Famous songs have been written about these holiday traditions. Are they traditional? No, they do not evoke the tone of the grocery store commercials showing folks making all the fixings of a holiday feast at home, but they have their own special quality. These individuals and families decided for one reason another to make the club or hotel their choice of celebration place for the season. Surely other celebrations take place, but these folks…single, married, young and old decided to hold their celebrations together at this place away from home. These celebrations can either be formal with silver decorations, china and silverware or casual with paper napkins and plates, but they are all a great escape from the usual traditions of the holidays. For this Resort Girl, this has worked out great in recent years, with my life transition and moving to a new town. There is always room to add a single seat to a large, festive table. 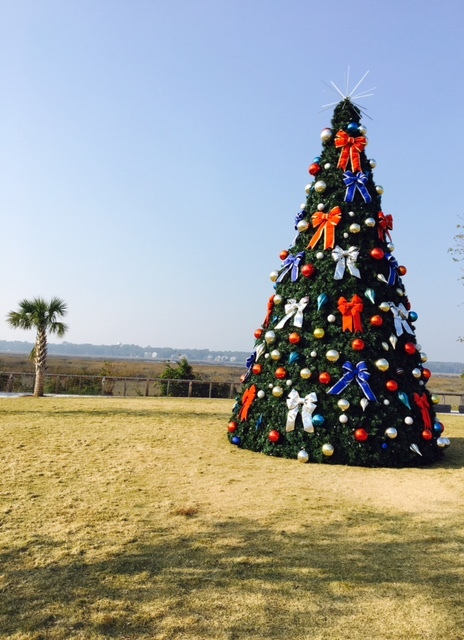 On Hilton Head island and in the town of Bluffton, clubs and hotels to enrich your holidays and traditions are plentiful. With club parties, New Year’s celebrations and even the pro shop making a great place to purchase holiday gifts, it is far easier to drive your golf cart up to the clubhouse to celebrate and holiday shop than turning on that car key. So, pack your friends and family into that golf cart this holiday and drive on the fairways – instead of the highways – to your holiday celebrations. You could also walk down the hotel corridor to the beautifully decorated ballroom or oceanside event to celebrate the season. Celebrate this Holiday at a Club or Resort. Wishing all Resort Girls and Guys a very Happy Holiday Season! Relax, Reflect and Recharge…and REJOICE! Did you know that women are among the most sought after new players in the sport of golf? According to the 2018 Royal and Ancient Golf Club Women’s, Girl’s and Family Participation Study, there are nine million potential new female golfers around the world. Have you ever thought about taking up the game, but did not know where to start? My hope is that this article will inspire you to consider taking up golf. This introductory article for my “Women in Golf” series is designed to provide insights into women-specific golf instruction, tips and even fashion ideas. My own golfing “experience” began over 20 years ago, when I moved to the beautiful golf resort of Big Canoe, GA. The golf courses wind through the majestic North Georgia Mountains, offering breathtaking views from the fairways—and some challenging lies. It was a perfect course to learn on, with the weekdays being slower as the tourists came on the weekend. One aspect of golf that beginner golfers need to familiarize themselves with is the pace of play. New golfers tend to be slower than the regulars – leading to frustration for both parties. Maintaining the proper pace of play is one of the challenges faced by new golfers and a popular topic on many golf blogs and shows. You don’t want to cause a golf cart traffic jam on the tees as a new player. As with learning the proper pace of play, there are many other aspects of the game to get familiar with, from grip to swing to even the right clubs. If you are going to take up the game, know that golf is one sport that requires some professional instruction! Golf instruction is readily available and can be found in many different forms these days – from the hands of your local pro to the touch of a computer key. The PGA offers a beginner women’s golf program called “Get Ready Golf.” It is offered at golf clubs including Indigo Run, where I held my last club membership. Mr. Lance Buntin, a PGA professional and head golf pro at Indigo, makes this program available to his members and guests to help them get a start in the game of golf. With this program, you get a beginner set of clubs and a series of introductory golf lessons. It is a great and affordable way to start – try it and see if you like it! This instruction is an alternative to one-on-one private lessons with a golf pro and provides a group setting, which allows you to get comfortable by playing with other golf gals. In addition, online videos are fast becoming a 24/7 form of instruction, plus there is always YouTube. I personally also recommend taking a golf etiquette lesson – a Resort Girl wants to play properly. Another tee time tip is to start playing with the 9-hole group of the ladies’ golf members, as I did when I was starting out. Some are new golfers and some are established, but everyone must have a certain handicap, which makes the level of play less intimidating. And, when play ends, you can chill with some ice tea or even a glass of wine while getting to know some new potential gal pals. But don’t get me wrong, the game is not all fun. Golf is challenging – it takes time and practice to build up skill. But it is a good challenge, as you are challenging your mind and body since part of the game is physical and part is mental. At first your goal is to just get that darn little ball in the air and onto the fairway! Later, you move onto learning how to adjust your swing, chip and hit from all types of lies, land and even the sand found in those irritating bunkers. But, what a thrill it is when you hit those first great shots – among friends, family with some of the most magnificent natural backdrops and many times beautiful wildlife. This is really a moot issue because you don’t always need to play 18 holes. Most courses offer 9-hole options and some even have an innovative 6-hole at 6 PM play option, which gives golfers just enough time to get in a few rounds at the end of the day. I recently saw this 6 at 6 offering at a Lake Oconee golf course, where you skip holes to finish in an hour. These options afford the game of golf the creativity needed to meet the modern day demands of working individuals and families. There are also the new golf concept venues, such as Top Golf, found in many cities that allow you grab lunch or dinner and get in a few chips. With golf, practice may still not make it perfect, but it is an integral part of the game and these flexible options are becoming very popular. And finally, some of my closest friendships were built on those days of play in the mountains. We still play golf together after almost 20 years. When you spend up to five hours with someone in a cart, you really get to know them! Plus, many times the best of part the experience is the food and fellowship you find back at the resort clubhouse. Some of the special events held there can spark some fun competition amongst your golf gal pals. 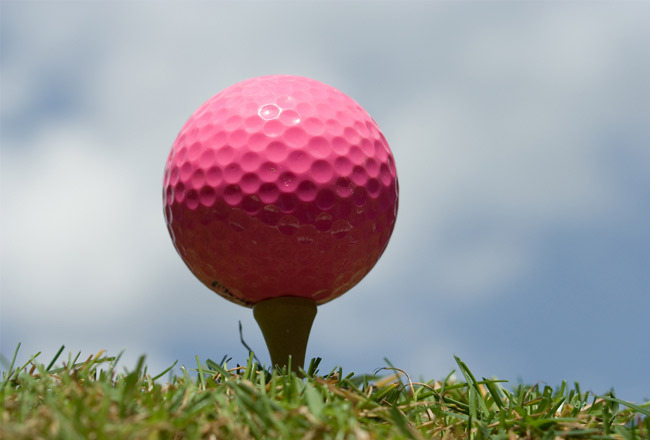 At Indigo Run, Mr. Buntin runs some very creative events for his women golfers and charitable events benefiting causes such as breast cancer awareness. The clubhouse also can become an integral part of your family life – which is one of the most important deciding factors for women joining a golf country club. They want the club to offer family time events and “experiences” outside of playing golf. I hope this initial “Women in Golf” article inspired you to consider being one of those many women who take up the game of golf. Try golf – you might like it – and along the fairways and back at the clubhouse, you will have the opportunity make some lifelong friends and family memories—Golfing Traditions. Relax, Reflect and Recharge Resort Girls.